It occurs to me that most of my posts this summer have been reflections of life on North America’s west coast. You’ve seen a series of images from Spanish Banks, which is my favourite home town beach. We did make our way up Grouse Mountain for photos of one of the grizzlies who call the mountain home, but it’s likely apparent that we fell in love this summer with Oregon’s Cannon Beach. 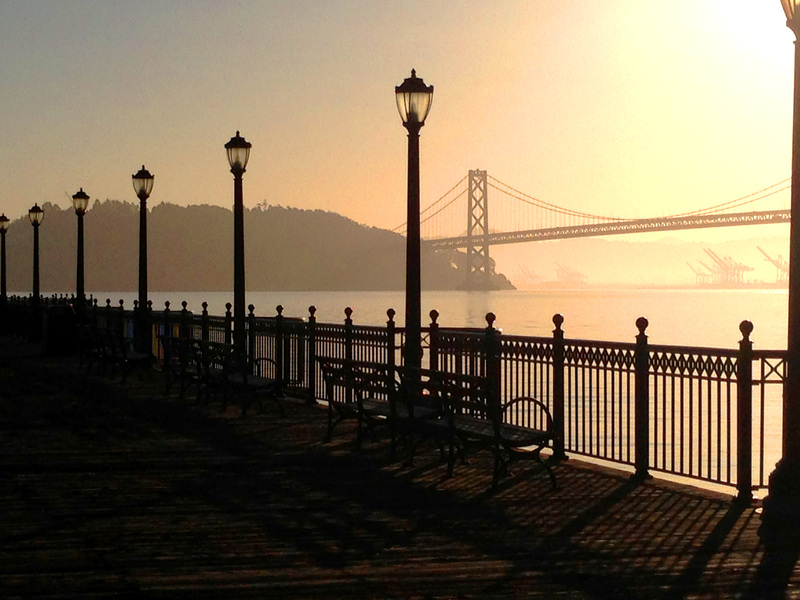 So, while we took a detour yesterday with images of Granada’s exquisite Alhambra, I thought I’d revert to the west coast theme today and take you back to San Francisco. As you’ll see above, I love getting out to explore cities when only the earliest of risers are up. 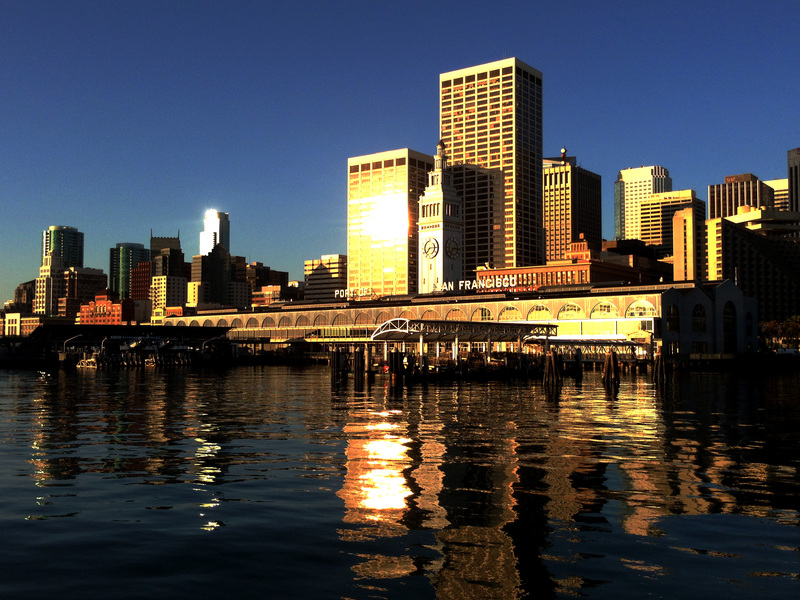 The city is also breathtaking throughout the day, and we enjoyed great weather for our first visit to the City by the Bay. When it’s windy, though, you’ll want to be bundled up. 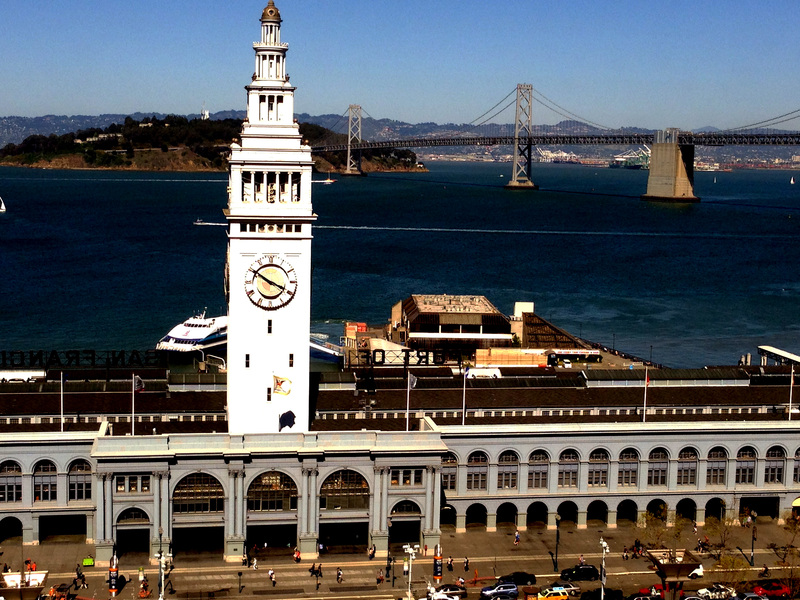 Above and below are peeks at the San Francisco Ferry Building, which has its own marketplace that s the city’s counterpart to Vancouver’s Granville Island Market; the upper image is the view from our room at the Hyatt. I enjoyed strolling along this area, and poking (and spending my way!) through the Ferry Building Marketplace shops. 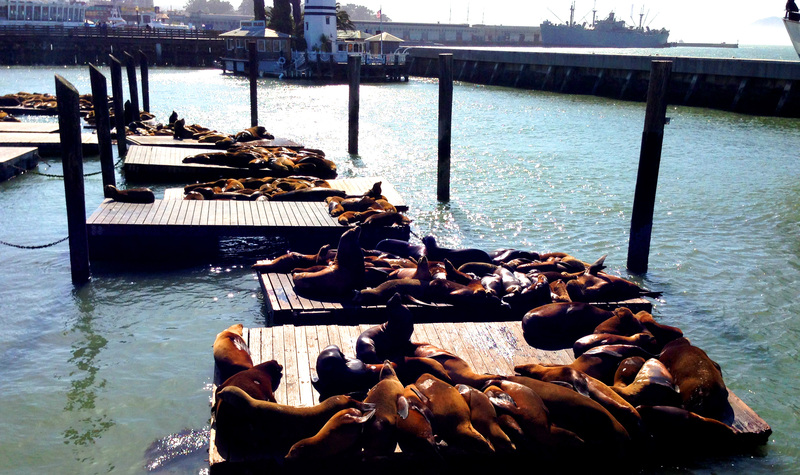 Depending on when you visit, you’re likely to encounter crowds of people at Fisherman’s Wharf. If you’re like us, you may also see a number of these characters. Apart from lolling in the sun, pushing off any interloper who got in one another’s way seemed to be the order of the day. 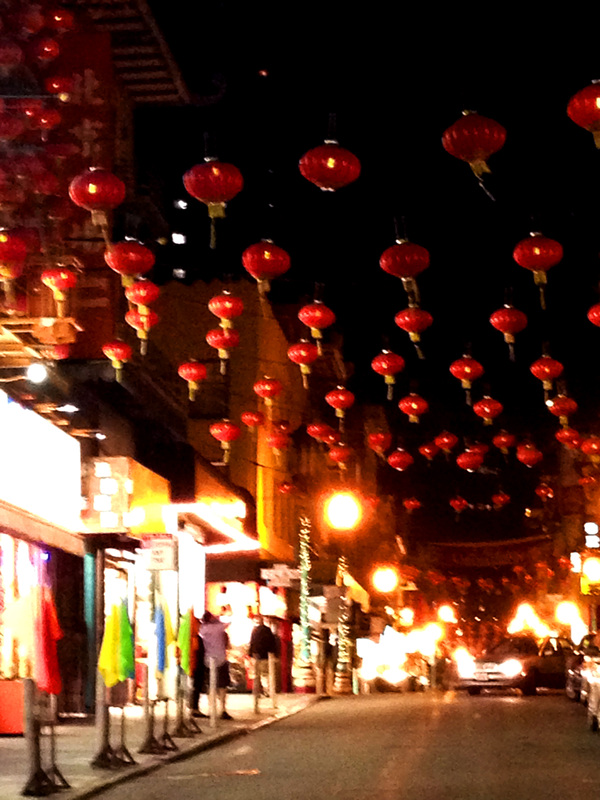 Chinatown is certainly worth a visit, and perhaps even more so at night. If at all possible when we visit the US, I love attending baseball games, and it’s tough to have anything but a great time at AT&T Park. 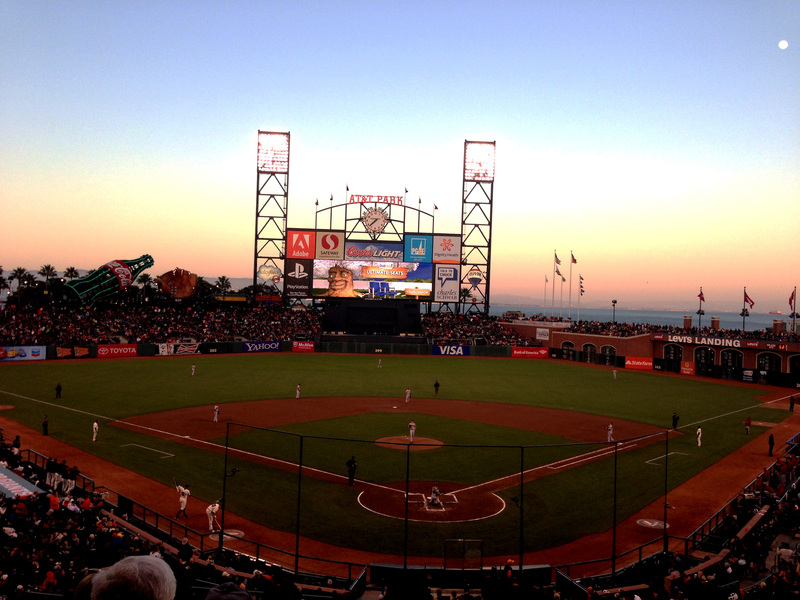 The evening game and gorgeous waterfront locale were great, and the home team Giants won. What have I left out that visitors will want to consider? 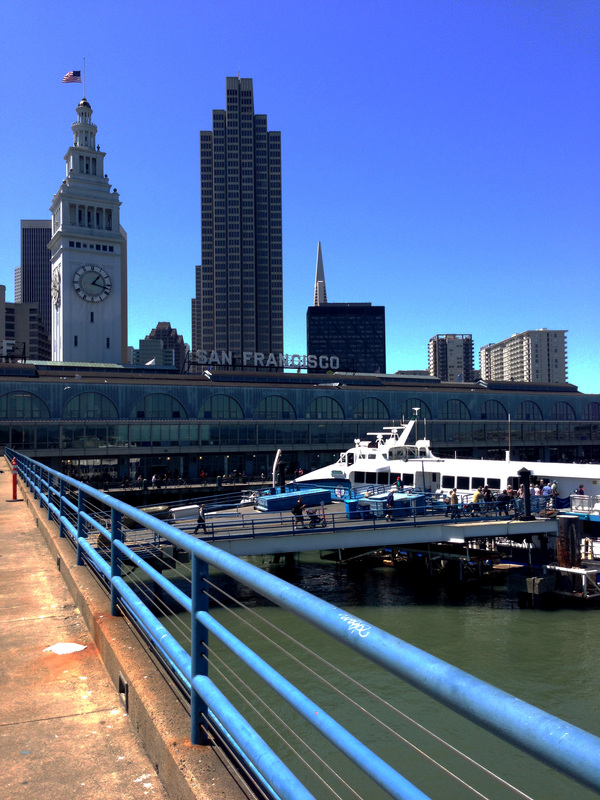 Plenty, including the bridge – and so I’ll follow up another day with a look at that, the city’s Painted Ladies, and a reminder that chocolate lovers will not want to miss visiting Ghirardelli Square. In the interim, have a look at the works of San Franciscan photographers Laura Macky and Dan Shehan. They both produce beautiful images that will give you locals’ perspectives on this city that merits a return visit – I just have to figure out when!